To successfully participate in this Design & Build, students should be able to work with basic construction tools (e.g., scissors), fasteners (e.g., glue, tape, paper clips, brass fasteners) and materials (e.g., newspaper, straws, craft sticks, modeling clay) as well as have an understanding of basic structures. It is recommended that students conduct the inquiries It's All in the Shape and/or Strong Shapes: Cylinders and/or Finding out about Fasteners prior to participating in this Design & Build challenge. Humans have been building towers since prehistoric times. Many early towers were built as lookouts for the fortifications surrounding settlements to watch for invaders. The Chinese included towers as elements of the Great Wall of China. Tower houses, which served the dual role of a house and defensive lookout, began to appear in Ireland, Scotland and England during the Middle Ages and spread afterwards throughout Europe. Many castles integrated tower structures and these buildings have become associated with great wealth and royalty. Towers have been built in all shapes and sizes and for multiple purposes over the centuries, but the ongoing construction challenge associated with tower building still remains, "How high can we build it?" In this Design & Build challenge, students will design and build the tallest free-standing tower possible, with the materials provided, and test it to demonstrate if it meets the pre-determined construction criteria. 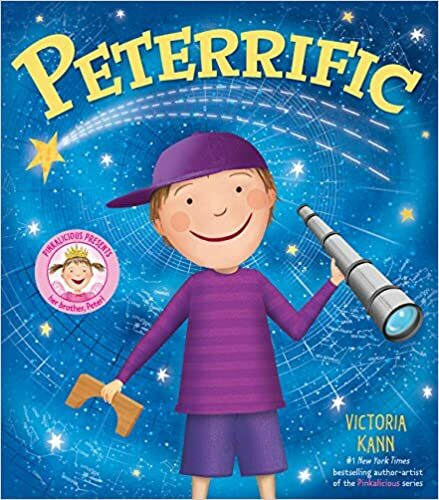 "Why does Peter want to make a tall tower? What are other reasons for wanting to build a tall tower?" "What are the challenges of building very tall structures like towers?" "What types of materials would make a strong tower?" "Why is it important to test a design? What things can you do if a design has a flaw or fails, like Peter's did?" "Where do humans find inspiration for building structures?" "What is the purpose of different tower structure(s) in our community?" "How are very tall structures built? How do they get started? What materials do you see being used? What machines and tools are used?" "How does a tall structure affect the neighborhood, local environment and the landscape?" "What geometric shapes do you observe in tower construction?" "What is similar about these pictures? Which of these structures have you seen before, in person or in pictures?" "What geometric shapes can you see in the construction of these statues and towers?" "What are the benefits of tower structures that make them desirable?" "What things do you think you would need to consider before building a tower structure?" "What do you notice about these towers?" "What features do most of these towers have?" "Where have these towers been built?" As a class, students brainstorm criteria that their prototype tall tower must meet. Educators may choose to add other criteria that are curriculum-specific, such as using joiners/fasteners, measuring, using specific materials, etc. Tower must be free-standing and not attached to any external structures or supports (e.g. walls, desks, the ceiling), with the exception of the floor if desired. Options for construction materials: Recycled newspaper or other recycled paper products, paper straws, spaghetti, craft sticks, etc. Determine the type of material(s) you would like students to use for construction. Materials can be limited to only one type of building material (e.g., newspaper) and one type of fastener (e.g., masking tape) or students may be given their choice of materials and fasteners. Note: Always follow local administration guidelines when selecting materials for this Design & Build. Collect the recycled and/or new materials, fasteners and tools that students will use to construct the tower (e.g., newspaper, straws, post-it notes, craft sticks, cardboard, tape, glue, scissors). Option: Provide students with a set amount of play money and set up a store' area where students can buy' their materials. This could be included in the design criteria (e.g., you must spend a minimum of $5 and a maximum of $10.). Click here for reproducible Let's Talk Science money. Students develop and apply Design & Build skills as they design, build and test a prototype tower. "What are the basic outcomes and criteria that the tower must meet?" "How will you know if your tower is successful?" Students brainstorm and record criteria for the tower. "What words could we use to describe the features the tower must have to be successful?" "What geometric shapes might be used to construct the tower? Are there shapes we wouldn't want to use?" "How are you going to represent each part of the tower structure in the design sketch?" "How will you get the tower to remain stable and not tip over as it is being built?" "What tools might you need for building the tower?" "What things could you look at as inspiration for your tower design?" Students build/develop and test the design idea based on their sketches and design plan (create the prototype) and then test it. "How did you test your tower? Which of the design criteria does your prototype meet? Which ones does it not yet meet?" "What problems did you have when you tested the tower? What things are limiting the height of this tower or affecting its stability?" "What changes in your tower design might improve your chances of making it taller?" "How would you change your design to make it more stable?" "What materials worked best to create the height/rise of the tower? What materials seemed to be most effective for stabilizing the structure?" "What did you learn about towers and their construction by designing and building this tower?" "What is the role of an architect?" "What skills do you think an architect needs? How might your interests influence the choice of architecture as a career?" "Where do architects get ideas/inspiration for their creations?" 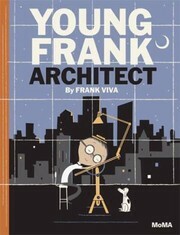 "If you were to become an architect, what would you want to design and build? Why?" "What kinds of things do you think an architect does before she/he makes a design drawing?" "What types of tools does an architect use?" "What skills and characteristics does an architect need to have?" "Why does an architect make a model of a project?" 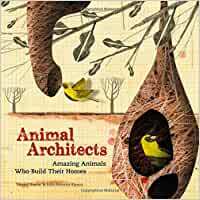 Reading a book such as Animal Architects: Amazing Animals Who Build Their Homes by Daniel Nassar and Julio Antonio Blasco, to investigate amazing builders in the animal kingdom. "Which animals build tower-like structures?" "What geometric shapes can you detect in the structures that animal make?" "How do animals use construction materials in a way that is similar to humans? What types of materials and building methods are different from what humans use/employ for building?"